Evening with Industry gives engineering students an opportunity to network and enjoy dinner with recruiters from various companies. 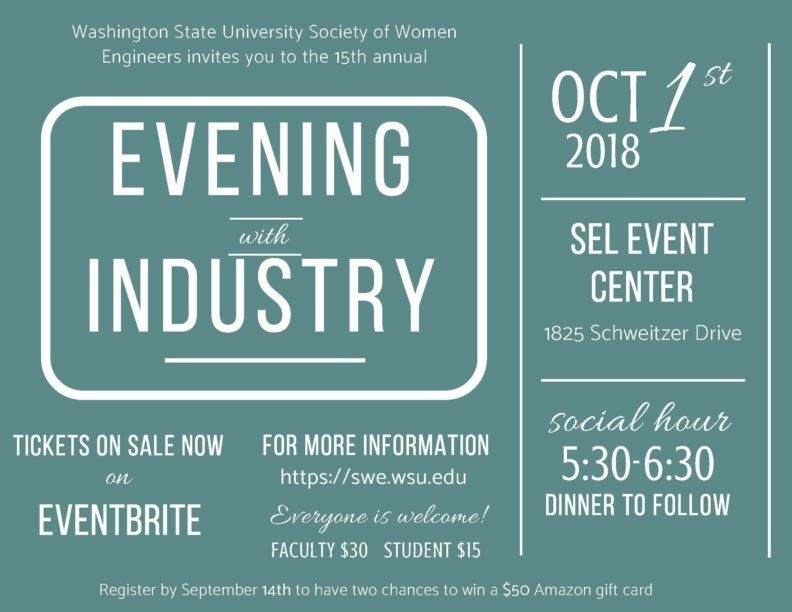 Please visit https://swe.wsu.edu/evening-with-industry/ for more event details, a link to purchase tickets, and an updated list of companies attending. Buy your ticket by September 14 for two chances to win a $50 Amazon gift card! Students, both men and women, of all engineering disciplines are invited to join. We hope to see you there!